Good To Go is a game coming from Microgaming, one of the best software providers in the Online Casino Industry. This time we are going to be a part of a race, and not any race but Formula 1. So buckle up adrenaline junkies and let`s go on a wild ride. If you are a fan of fast cars and dangerous activities then this is the perfect slot for you. Piloting a formula 1 car is a dream come true to some and with this game it is accessible to anyone. Good To Go is powered with 2 special symbols, the scatter and the wild symbol. The main function of the wild is to substitute for all the other symbols except for the scatter in order to complete a winning combination. The scatter symbol, on the other hand is the key to the main feature, the free spins round. This feature is slightly different from what we are used to see in other games. The speed-o-meter is the scatter and it offers not only scatter wins but also awards you with 3 free spins. And that is not all, the scatter symbols are held in place giving you a chance to activate the feature again. 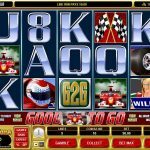 Good To Go is a fun, fast paced game and Microgaming knew that that is exactly what online slots players are looking for in a game. 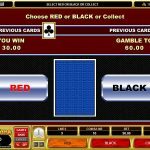 This is an entertaining slot that has lots to offer, a couple of special symbols, some special features and lots of action. The betting options are wide and any kind of players can find the suitable betting size for their bankroll. Try this game and you will have a wonderful experience, trust us. If you’re into slots with whooping jackpots then consider playing Gold Factory a 5 reel slot by MicroGaming.